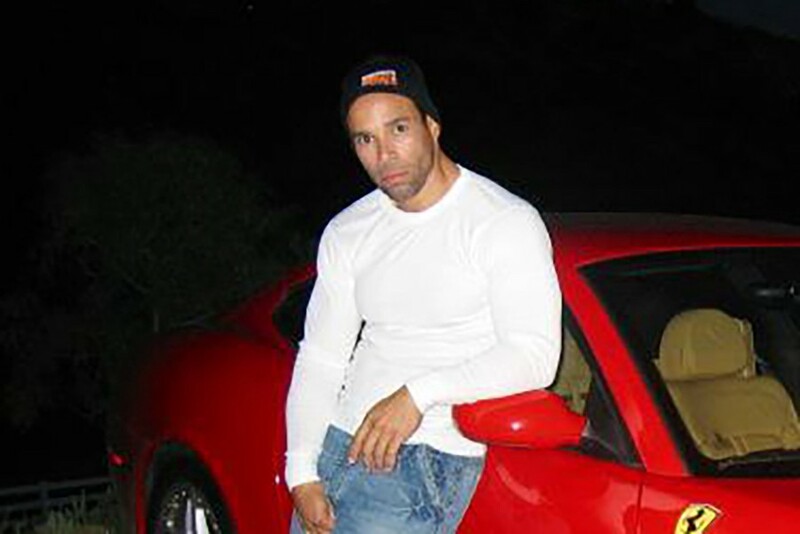 Kevin Levrone walked away from professional bodybuilding in the early 2000s after an impressive career that saw him almost capture the sport’s biggest title — Mr. Olympia — on four different occasions. He then shed nearly 50 pounds of bulk before deciding to go after the Mr. Olympia title again — a couple of years after his 50th birthday, having not lifted weights for 13 years. When I left professional bodybuilding, I didn’t want to be a big guy anymore. I wanted my arms to hang normally by my sides. I wanted to fit into clothes without them stretching. I wanted to walk into a place without everyone staring at me. Most of all, I wanted to feel normal — and be a normal size. I was in my late 30s and burned out. I’d competed 68 times over a 13-year career, winning 24 of those contests. 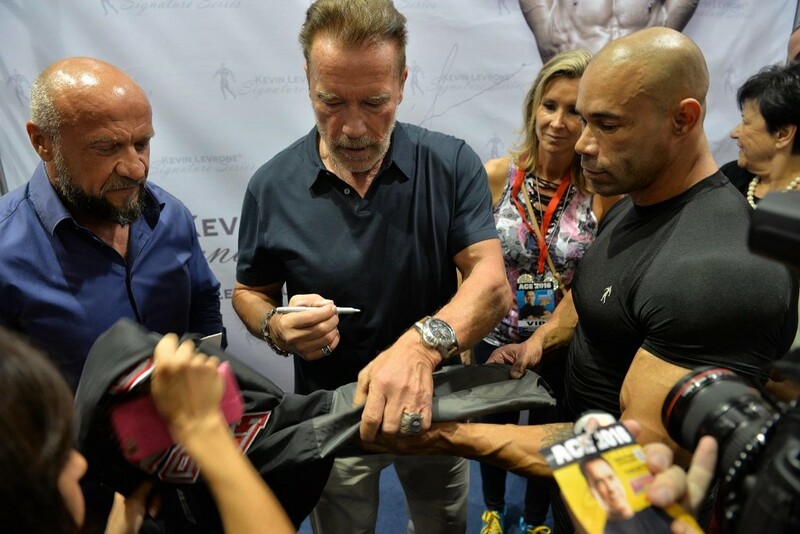 I was successful enough to travel the world and meet Joe Weider and Arnold Schwarzenegger. However, I could never win the Super Bowl of weightlifting — Mr. Olympia, in which I finished second four different times. People began calling me “the uncrowned king” because I won everything else. I’d started weightlifting in my teens. My cousin Stoney had come back to Baltimore from the Marines. He was skinny when he left, but when he returned, he looked like the Incredible Hulk. He was at least 25 pounds bigger. Just ripped. I was amazed. I’d never seen anyone make that kind of transformation before. I asked him how he did it. He just shrugged and said, “Working out.” Like it was nothing. Stoney and this guy I met at the gym named Kahuna were instrumental to developing my passion for bodybuilding. Kahuna in particular taught me how to deadlift, squat and bench. He also encouraged me to go out for a powerlifting competition when I was 22. I bought briefs from Sears on my way there. So I did my first competition in actual underwear; still, I benched more than 400 pounds. Later that day, there was a bodybuilding competition on the same stage called Mr. Colossus. Kahuna talked me into trying out for it right on the spot. I was still in my Sears underwear so why not, right? And I won! No experience. No plan. But I did it, and I kept winning. About two years later, I went from amateur to pro. It was a great life, but like I said, in 2003 I had to go in a different direction — away from all of the watchful eyes. Plus, it was frustrating to keep getting so close to becoming Mr. Olympia but to always fall just short. I thought to myself, They’re never going to let me have it. So I walked away and stopped lifting weights entirely. Instead, I went to Hollywood and made a couple of movies — Backlash and Redline — as well as appearing on the TV series Burning Hollywood. All the while, I got heavy into social media. This was the early days, too: There was mostly just MySpace and YouTube. My YouTube channel was called “The Levrone Report.” It was nothing fancy. No big productions. Simply me talking to my fans. Sometimes I was running through canyons in California. Sometimes I was living the everyday life of a normal guy. Sometimes I was back in the gym. More than anything else, though, it felt great to be 205 pounds instead of 250 or 260. Nonetheless, people kept saying to me in the comments, “Get back on stage! You look great!” And I noticed when I was in the gym doing something, even without weights, I’d get a lot of views. On the flip side, when I was somewhere else or talking about acting, the views would go down. I realized, Damn, all these people just want to see me working out. After years of this, I thought, Why don’t I just give these guys what they want and compete in Mr. Olympia again? People went nuts when I publicly announced I was gonna do the 2016 Mr. Olympia. In fact, my Facebook page went from 30,000 followers to more than 1 million. Of course, it’s the internet, so not everyone was encouraging. Plenty of people thought I was crazy. Delusional. Too old. (I would soon turn 52.) Sadly, it wasn’t just anonymous people online either. I lost friends over this. Close friends. They just didn’t get it. They called me stupid. They didn’t see the value in me competing if I might not win. Training was difficult on my body. My tendons, ligaments and joints had to take to the process of growing and developing again. There were a lot of times when I questioned myself: “Why did I ever decide to do this?” The pain and soreness was heart-wrenching. Plenty of times I wanted to quit. But I preach all the time about not giving up, so I had to continue. Then came the injuries. I had two procedures before the competition, one nine weeks out and another six weeks before. I also had quadricep tendonitis and couldn’t squat. I tried working around it, but nothing can replace squats. Bodybuilding is about balance and symmetry throughout the body. And if I couldn’t squat, that meant I couldn’t get my legs to the right size. That had real repercussions since my upper body had to match my lower body, no matter where I was at. The morning of the competition, I looked in the mirror and knew I wasn’t going to win. Still, I went to the auditorium, got oiled up and walked out on that stage. It was one of the hardest things I’ve ever done. One by one, people stood and started clapping. Just a few at first, but then the whole auditorium was on its feet, clapping for me. Whistling for me. The room just pulsed with positivity. It brought tears to my eyes. I’d never gotten a standing ovation like that before. It was by far the best, most touching experience I’ve ever had in bodybuilding. In the end, I learned that sometimes you can make more of an impact when you finish dead last. If you have the courage to step up when you’re not 100 percent and still finish, you’re a champion to me. Think about a marathon runner who breaks his leg during the race and crawls his way across the finish line. Are you gonna remember him or the guy who finished first? When it comes to bodybuilding, I am that runner with the broken leg. But now I’ve healed, and my physique is probably at 85–90 percent of where I want to be. I’m not stopping, however. My sights are set on Mr. Olympia 2017.